Bring your horse and ride, or Audit. Christine Stückelberger, decorated 8x Swiss Olympian, World Champion and Individual Gold Medalist is pleased to return to the United States for a 3 day clinic. 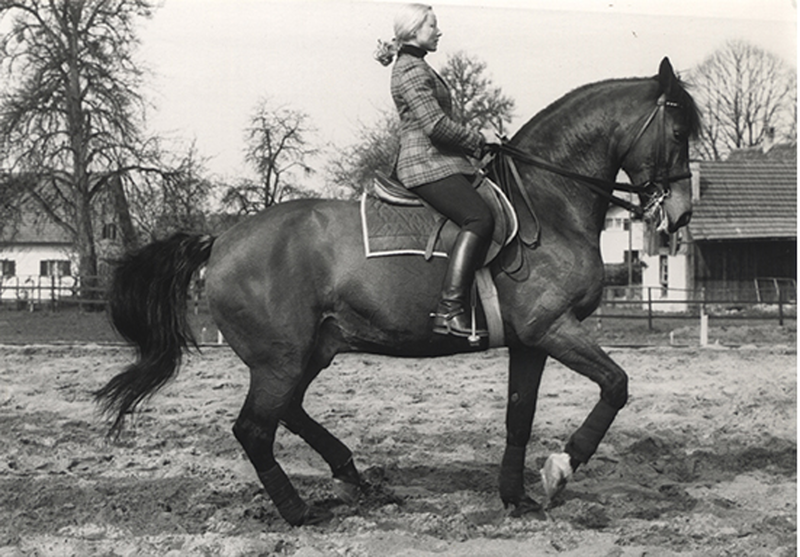 Ms. Stuckelberger won Individual Gold in dressage in 1976 with her horse Granat, and is known for her long time partnership with the Spanish Riding School's Georg Wahl. A founding member of the Xenophon organization and now as a ranking officer of the Order of Saint Georges, Ms. Stuckelberger is an advocate for both classical training practices and equine welfare. From judging at the top levels of our sport, to coaching other Olympians, Ms. Stuckelberger has generously shared her knowledge and skills across the globe. Join us for three days of private lessons, a theory lecture with questions and answers, and a group dinner. Lessons will focus on the integral role of the seat in classical riding and training - Ms. Stuckelberger's doctoral work focuses on this topic. And, for riders of the appropriate level, she offers methods for high school collection, correct training for Piaffe and Passage on the third day. Stabling is available for the duration of the clinic. Priority is given to riders committed to the entire clinic, although a wait list will be available for those wishing to sign up for individual lessons. All slots are offered on a first come, first served, basis. Auditors are welcome! Breakfast and lunch will be available for purchase.